“I love God, but I also love mob movies.” With these 9 words, BJ The Chicago Kid (a.k.a. Bryan James Sledge) begins In My Mind, an album that by its conclusion proves to be a record of immense musical intensity about the narrator’s personality, personhood, and opinions. The “I” in the quote that begins this paragraph remains the object of the album’s songs; BJ’s world and opinions are the subjects of our concern until the very end. To treat personality, personal opinion, and personhood musically, he explores familiar terrain with care, producing an album of R&B and soul songs that not only twists lyrics and resonating rhythms into first person dramas, but also into observations of the world that he lives in. “The New Cupid” is a song that reveals that BJ The Chicago Kid is better at singing soul music than sin city R&B. We are introduced to a truly great voice when he sings that “Cupid is gone.” Kendrick Lamar makes a contribution, his rap elevating BJ’s singing. “Woman’s World” is a very important song on the album. “I know that you heard that this is man’s world” flips the script on James Brown’s classic hit, extolling the virtues of femininity, an update that feels far more apropos in 2016. 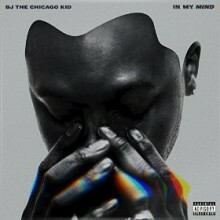 “Home” and “Crazy” contextualize the album, emphasizing BJ’s personality. These days, we’ve come to expect the same romantic dramas from R&B. This is especially the case in the music of R&B of male singers. 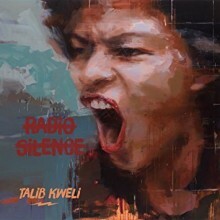 However, In My Mind contains a different kind of drama, one that incorporates the more varied themes that hip hop artists address into an R&B format. What’s missing from this album is further musical refinement, despite its being an album of some the most nuanced R&B and soul released recently. The entire album is in simple vernacular language; perhaps further lyrical revision could have made the poetry as thrilling as the narratives, ultimately improving the songs. The songs’ arrangements could have also been more precise to emphasize the complex rhythmic vocabulary the artist employs. In My Mind seems humorless at times; BJ The Chicago Kid does not laugh much on this album except for during one skit and listeners seeking entertainment value exclusively may find this tone a bit sharp. In My Mind is an intense listen and its slower songs are terrific. Though BJ The Chicago Kid is best at singing soul music, the album’s pitfall is that it chooses to not experiment as much as its musicians could, rather choosing to work in the more minimalistic contemporary R&B mold.